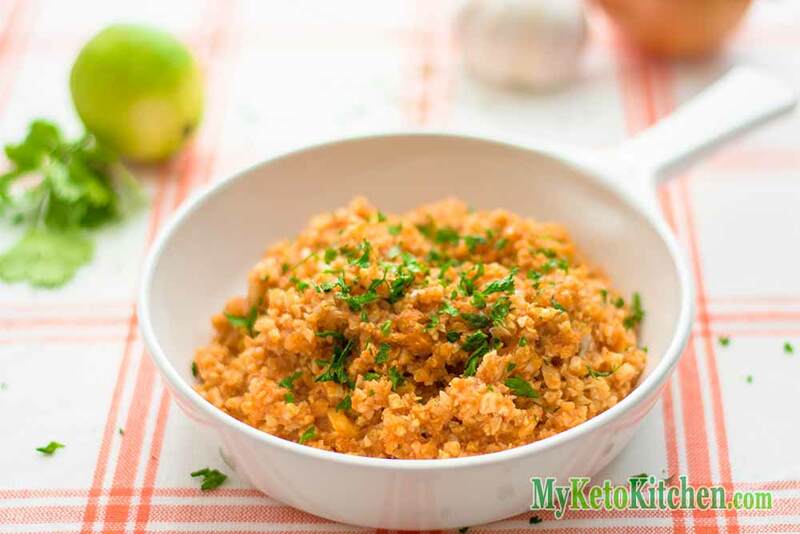 This Low Carb Mexican Cauliflower Rice recipe is vegetarian and loaded with flavor making it the perfect side dish for all. Place a large frying pan over medium low heat. Add the butter, garlic powder and onion flakes and gently sauté for 3 minutes. 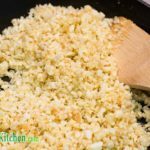 Add the cauliflower rice, salt and pepper and sauté for 3 minutes, until the cauliflower is beginning to soften. Add the tomato puree and stir well. Continue to cook for another 3-5 minutes until the cauliflower is cooked through. Take the pan off the heat and stir through the cilantro. A very tasty vegetarian dish and with no chilli added. 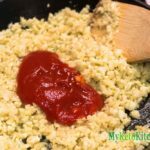 Our Low Carb Mexican Cauliflower Rice is great for the whole family. Visits our page of low carb vegetarian recipes for more meat-free delights. 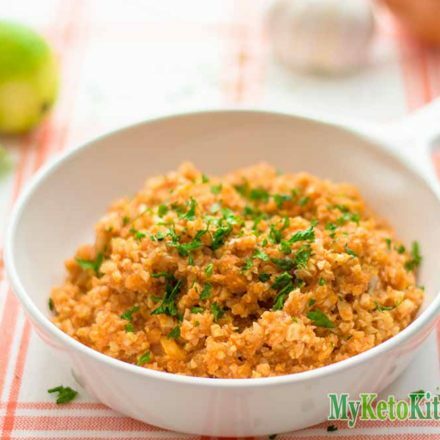 To make a larger batch of Low Carb Mexican Cauliflower Rice adjust the serving amounts in our recipe card above.